On July 17th, the Massachusetts Supreme Judicial Court unanimously held that an employee may pursue a disability discrimination claim under state law against her former employer for failing to accommodate the employee’s use of medical marijuana. This is the first decision by any state’s highest court to recognize a duty to accommodate medical marijuana users at work. In 2012, Massachusetts voters approved a law titled “An Act For The Humanitarian Medical Use of Marijuana.” As a result of this medical marijuana act, Massachusetts is one of the many states that permit limited use and possession of marijuana for medical treatment for qualifying patients. Under the federal Controlled Substances Act, however, marijuana is categorized as a Schedule I controlled substance, meaning it has no recognized medical value and a high potential for abuse. Moreover, federal criminal law makes the use and possession of marijuana a crime, and physicians are prohibited from prescribing marijuana for medical use. In addition, other federal statutes impose obligations on employers to ensure employees do not possess or use marijuana in the workplace. In light of these federal laws, until the Massachusetts Supreme Judicial Court’s decision in Barbuto v. Advantage Sales & Marketing, LLC, S all of the state supreme courts that have addressed the issue have held that employers are not required to accommodate an employee’s use of medical marijuana. In her complaint, the plaintiff alleged that, after she accepted a job offer, her new employer informed her that she was required to take a drug test. The plaintiff then told her new supervisor that she would test positive for marijuana because, pursuant to the medical marijuana act, her physician had provided her with a written certification that allowed her to use marijuana as a treatment for her Crohn’s disease. She also told her new supervisor that she did not use marijuana on a daily basis and that she would refrain from using it before or at work. In response, the supervisor stated that the plaintiff’s lawful medical use of marijuana would not be an issue. The plaintiff subsequently sued her former employer for, among other things, violating Massachusetts’ anti-discrimination law (known as “Chapter 151B”) and the medical marijuana act. She claimed that her former employer engaged in disability discrimination, thereby violating Chapter 151B, by failing to accommodate her medical marijuana use. The plaintiff’s former employer moved to dismiss these claims, arguing that her requested accommodation – the continued use of medical marijuana – was not reasonable because it remains a federal crime. The trial court agreed and dismissed the plaintiff’s discrimination claims. was capable of performing the essential functions of her job with an accommodation (a waiver of the company’s policy declining to hire anyone who fails a drug test). 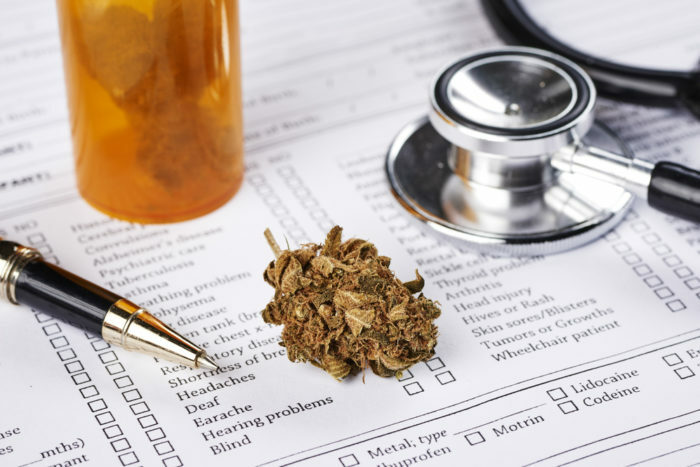 the use and possession of medically prescribed marijuana by a qualifying patient is as lawful as the use and possession of any other prescribed medication. Further, the court noted that the medical marijuana act expressly states that it does not require employers to permit the use of medical marijuana in the workplace and concluded that this limitation “implicitly recognizes that the off-site medical use of marijuana might be” a reasonable accommodation under Chapter 151B. [t]o declare an accommodation for medical marijuana to be per se unreasonable out of respect for Federal law would not be respectful of the recognition of Massachusetts voters, shared by the legislatures or voters in the vast majority of States, that marijuana has an accepted medical use for some patients suffering from debilitating medical conditions. The court also noted, in a footnote, that the employer had waived the argument that conflict between Massachusetts and federal law requires the conclusion that an employee’s use of medical marijuana is facially unreasonable, although that argument was successful in defeating a disability discrimination claim in Oregon. Moreover, the court noted that even if the plaintiff’s requested accommodation was unreasonable, Chapter 151B required her employer to engage in the interactive process with her to explore whether another form of accommodation was possible. Notably, although the court permitted the plaintiff’s disability discrimination claims to proceed, the court affirmed the trial court’s dismissal of her claims under the medical marijuana act and for common law wrongful termination, finding that the medical marijuana act itself did not create a private right of action against employers. When is accommodating a user reasonable? The court provided guidance on evaluating requests for accommodation. Notably, the court observed that employers may still prohibit employees from coming to work under the influence of marijuana or from using marijuana at the workplace. Moreover, employers are not required to accommodate an employee’s recreational use of marijuana. Significantly, the court encouraged employers to start the interactive process by confirming with the employee’s physician that medical marijuana is the most effective medication, and that any alternative medication permitted by the employer’s drug policy would be less effective. Thus, employers may be able to decline to place medical marijuana users in safety- or security-sensitive roles, in roles where their performance would be compromised, or in roles subject to the federal Drug Free Workplace Act. Employers who are subject to federal drug and alcohol testing requirements, such as those adopted by the U.S. Department of Transportation, cannot place medical marijuana users in roles that explicitly prohibit medical marijuana accommodation, but may consider alternative accommodations, such as placing qualified workers in another role. Although the decision in Barbuto could encourage similar lawsuits in other jurisdictions, Barbuto does not have any precedential value outside of Massachusetts. Thus, it is important to recognize that courts in other states may continue to conclude that workers’ use of medical marijuana need not be accommodated if the employer elects otherwise. Because of the complex, evolving, and sometimes contradictory nature of the laws governing the use of marijuana and marijuana products, we recommend that employers work with experienced employment counsel to ensure their policies, and the implementation of those policies, comply with all applicable laws. Nancy Delogu is an employment attorney with Littler Mendelson. She is a recognized authority on federal and state drug-free workplace and drug-testing issues and has drafted dozens of substance-abuse prevention policies, including Department of Transportation-mandated programs. She also helps DOT-regulated employers comply with regulations and requirements addressing workplace safety and medical certification. She also counsels clients on implementing reductions-in-force that comply with the federal OWBP and WARN acts and similar state statutes. Nancy is a frequent presenter and trainer on harassment avoidance, conducting lawful investigations, and drug and alcohol testing. She has testified before the United States Commission of Civil Rights regarding the ADA and substance abuse. She is former counsel and associate director of the Institute for a Drug-Free Workplace. She is a former adjunct professor at the College of William & Mary's Marshall-Wythe School of Law where she co-taught an introductory course on traditional labor law. She was also an academic representative for West Publishing. Nancy also is a member of the Steering Committee of the Women's Leadership Initiative.